More and more residents in the UAE, mainly expatriates, are launching their own businesses, and they are generating new opportunities for job seekers. At Magnitt, a networking business for startup companies in the Middle East, there are at least 100 vacancies offered by newly launched companies. The figures don’t cover the whole market yet, as the platform is relatively new, and it is likely that there are more opportunities out there that have not been accounted for. Startup companies are relatively small in size compared to other businesses that employ thousands of expatriate professionals. They mostly get their company off the ground by raising seed money from investors through venture capital, and many of them get by with just a thin workforce. But despite their limited size, startups can be the employment engine of the economy. “You just need to look at some of the startups that are comprised in the top 100 most funded to understand the job creation opportunity. Careem, Souq, Fetchr and Namshi are all examples of companies that have created mass employment for their technology platforms and their ancillary services,” said Bahoshy. 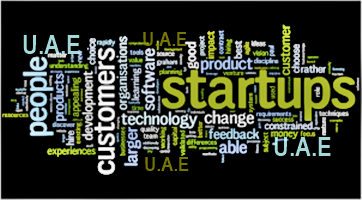 So far, the site has logged 3,000 startup companies launched in the Middle East and North Africa (Mena). About half of these firms are headquartered in the UAE, while nearly four in ten (38 per cent) of the founders are said to be from Lebanon and Jordan. Magnitt’s research showed that many of these companies that have done well, or the "top 100" in Mena have already raised $1.42 billion (Dh5.2 billion) in funding, with each venture attracting more than $500,000 (Dh1.8 million) individually. 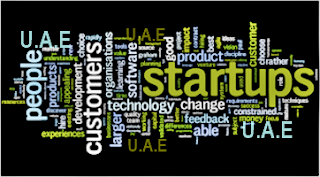 The young firms, including the likes of Careem, Souq and Fetchr, are made up of 189 founders. They were mostly created by individuals who have nine years of experience. Among the top 100 startups in the region, nearly half (48 per cent) of the people behind them have information technology (IT) or engineering degrees and more than a third (35 per cent) had previous startup experience. While nearly four in ten (38 per cent) of the founders are from Lebanon and Jordan, only 16 per cent of the companies are headquartered in those countries.